Ronnie D’Addario “Falling For Love” It’s always a treat finding “lost” power pop of the past. Ronnie D’Addario has been a musician for many years, mainly as a session player for Tommy Makem of The Clancy Brothers. His solo albums showcase his love of Beatles-styled melodies, and Falling For Love is a real treasure. The title song was recorded by The Carpenters in 1981, but never released. ​D’Addario’s original sounds like a perfect fit for the late Karen Carpenter. D’Addario’s songwriting and composing is very much like Gilbert O’Sullivan or Emitt Rhodes, with a solid hook on “Let Me Just Look At You.” The bouncy McCartney-like piano melody of “I’m On To Something” is another gem, along with the amazing harmonies on “Steps” and “Wait In The Wings.” A few songs feel more like Carpenters tunes (“Two Little Children” and “Just Passing Through”) and there is not a dud in the bunch. Highly Recommended, and his other albums are worth checking out too. FYI, he’s passed his talent down to his sons who are also known as The Lemon Twigs, a very impressive indie pop group that’s just begun to make major waves. 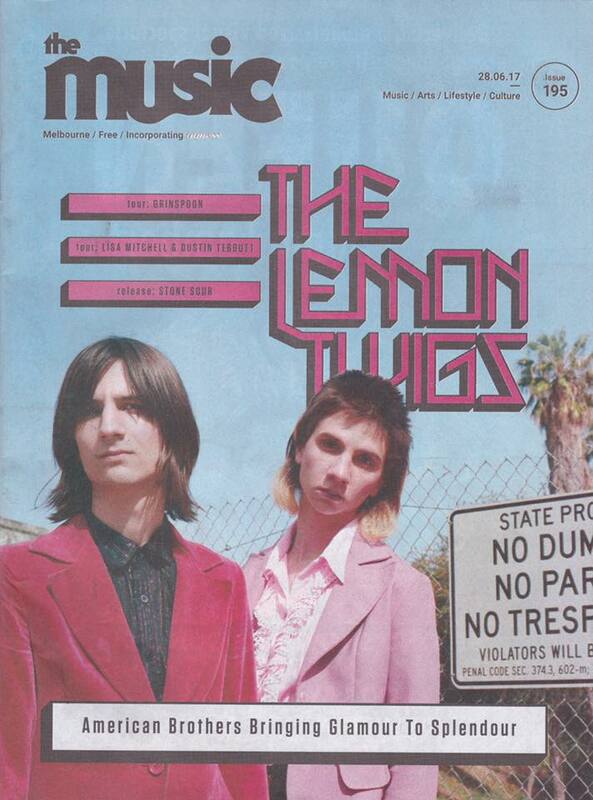 ​Extensive "MAGIC POP" article on The Lemon Twigs and Ronnie D'Addario by Alex Martí Puig. In the ​history of pop, it is not easy to find musicians who are able to do everything as extraordinarily well as Ronnie D'Addario: either with his solo efforts or accompanying others, singing or playing various instruments, composing or producing, or working as sound engineer. A true professional with an exemplary career, a total artist who, unfortunately, has not had the recognition that’s well deserved beyond dazzling a few "connaisseurs". Fortunately, the power pop label You Are The Cosmos, has recovered his work composed between 1976 and 1983, by way of vinyl, with the best of that time, plus a box set of three cd's with the first three discs plus bonus tracks. A deluxe edition will be completed soon and released onto the market, by the same label, consisting of his three other more recent albums, at least in CD format, although there is the possibility of another vinyl. Do Hollywood - This coincides in time with the debut in 2016 of his two children, Michael and Brian D'Addario, components of the group The Lemon Twigs, who have recorded the no less memorable "Do Hollywood" for 4AD. In each and every one of these works there are countless reasons to take this family of New York artists to the top of the altars of staunch power pop fans. While the father's songs obey a pattern of the sixties with dreamy melodies, perfect harmonies, and enveloping rhythms that bring the voice of the genre to it's best, the children defend their own, no less original, product in which the nuances correspond to a cluster of later references adapted to another way of expressing itself, perhaps more psychedelic and baroque. Both projects coincide and are essential--the irreplaceable cult to the beautiful songs that inspire moments of an unusual existential beauty. Ronnie D'Addario was born and raised in Manhattan, New York. His father was a professional musician, although he did not know him. His mother gave him a guitar in 1965. Both shared an admiration for the Beatles. After passing through several schools, he began his musical career as a studio musician playing guitar, bass and singing on several sessions. He was in bands and collaborated with Tommy Makem (1932 - 2007) for about twenty years. Makem was a master to him. Ronnie played acoustic guitar and Tommy, the banjo. Previous to that he worked at Dimensional Sound recording studio in New York and in a film studio, Filmsounds. He was a sound engineer at Folk City in Greenwich Village for musicians such as Rick Danko, Peter Tork, Richard Thompson, Delores Keane and Silly Wizard, and many others. He also played in Irish bands and produced Tommy Makem, Morning Star, Mary O'Dowd, Danny Quinn, and The Irish Mist. One of his most representative songs is "Falling For Love," a song that the Carpenters recorded but never finished. In 1981 he sent it to the A & M label in Los Angeles, the agent and manager of the Carpenters, who recorded it with Karen doing a rough vocal. She later became ill and died in 1983 without recording a final take. There was no release with the voices of the Carpenters. On the other hand, Ronnie has done a few projects for children like "Dancin 'in the Kitchen," (1998) or "Try Out a Song" (2002). "You Are The Cosmos" has recovered the CDs "Take In A Show" (1976), "Falling For Love" (1981) and "Good For You" (1983) plus Bonus Tracks, included together in a 3CD Box Set. A total of forty songs. Twelve of those are on a “Best Of 1976 -1983" vinyl record. The discs include all the lyrics of the songs. The power pop label plans to release, in the not too distant future, Ronnie’s most recent three albums at least on CD: "The Many Moods of Papa Twig" (2017); "A Very Short Dream" (2015) and "Time Will Tell On You" (2011). The Lemon Twigs is a band formed in Long Island, New York, by brothers Brian D'Addario - 20, and Michael D'Addario - 18, both singers, composers, and multi-instrumentalists, accompanied live by Megan Zeankowski on bass and Danny Ayala (Dr. Danny) on keyboards and background vocals. They formed the band as students at Hicksville High School on Long Island. After a cassette in 2015 "What We Know" (Winspear Records), they made their album "Do Hollywood" (4AD 2016) plus the single "These Words" / "As Long As We're Together" that they sold during the autumn tour of that year. The “Best Of” record album opens with "Wait In the Wings" from Ronnie's second album. Also from that album, and on Side 1, is "Falling For Love" and "Let Me Just Look At You.” "Nice Meeting You - Again" and "Love Stepped Out" from the first and “Good For You" from the third. Side 2 kicks off with "It's Spring Too Soon" from the first album and closes with two more from that album--"Take In a Show" plus "The Sun Is Out." In between are "Part Time Lovin' Is a Full Time Job" and Thinking Out Loud (third album) plus "I'm On To Something" (second). As for the complete works, from the first album of 1976, we find nine songs with three bonus tracks, with all the songs written and played by Ronnie. On the second, he delights us with twelve songs, plus four bonus tracks. He recruits help from Charlie Scibetta on drums, Sam Burtis - trombone, Jimmy Bralower - drums, Bill Horowitz - piano, Amanda Ettlinger - Flute, Ed Fox - piano, Nick Lohri - guitar, Chris Scotti – bass, and Buddy Zech on drums. On the third album, there are twelve songs performed by D'Addario plus flute and a narration by Amanda Lynne. 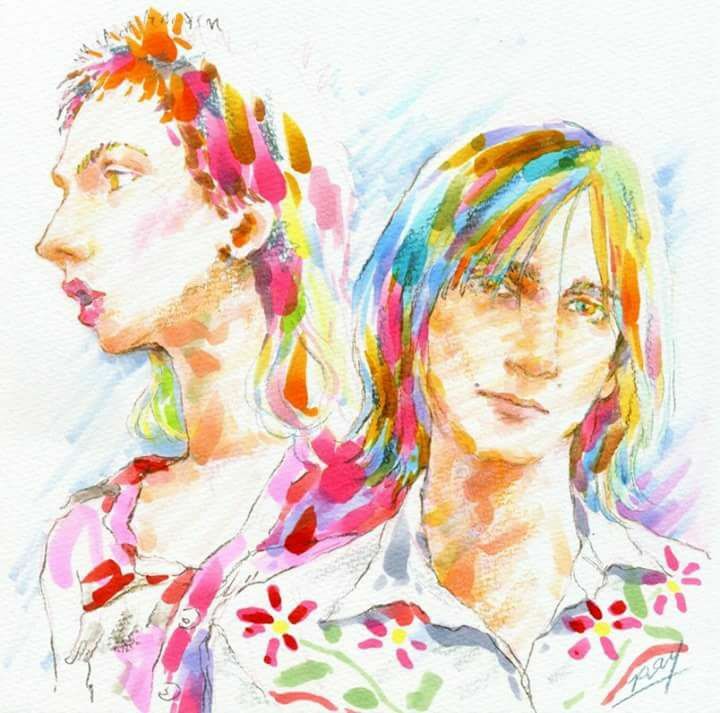 As far as the Lemon Twigs are concerned, they have included ten tracks on their debut album, six on Side 1: "I Wanna Prove To You", "Those Days Is Comin 'Soon", "Haroomata" "Baby Baby," "These Words" and "As Long As We're Together, "plus four on Side 2: "How Lucky Am I?," "Hi + Lo," "Frank," and "A Great Snake." The father has only collaborated by mixing "How Lucky Am I?" Even though father and son have contrasting opinions about recording methods, Ronnie taught them how to use their recording equipment. Jonathan Rado, from Foxygen, produced and recorded them in Los Angeles, as well as playing solo guitar on the song "Baby Baby." Brian mixed the record in his home studio. Analyzing together the work of D'Addario, father and children, it seems to me relevant to highlight, although it is evident, that no generational abyss can be seen as far as the musical parameters of both projects are concerned. Past and present have a strong bond and that meeting point is none other than “the pop song”-- well made with touching melodies. Both respond to detailed work, certainly original, that absorbs all the sublime and conceptual relevance of the sixties roots, although in the case of Ronnie, perhaps more emphasis on the harmonies, while his boys, lean towards more psychedelic moments, establishing some conceptual distance. Each of them has their own identity. This fine family share opinions and judgment but without a feeling of interference. At first the hordes of "indies" lick their lips when it comes to the subject of The Lemon Twigs, ("As Long As We're Together") however, they soon realize that their music goes way beyond “the new glam hope.” ("Do Hollywood). There are some who dare to call them "old" because of their admiration for The Sixties. Stupidities aside, it is very clear that this duo of brothers, eighteen and twenty years of age, have a way of composing that’s all their own and that distinguishes them. Throughout their journey, we expect great works. May we continue to bring other geniuses, like those offered by You Are The Cosmos Records, to the fore. Ronnie D’Addario’s “First Years – 1976 -1983 is an essential CD/Record. More information about the Lemon Twigs on the 4AD label.